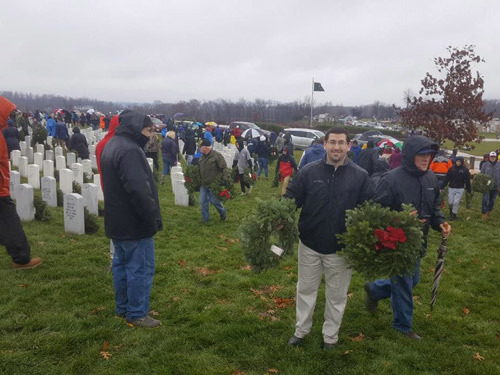 Last Saturday, I attended the Wreaths Across America Ceremony at the National Cemetery of the Alleghenies. My wife, Amanda, and my dad, John, joined me in paying tribute to our fallen heroes. Thank you to the thousands of volunteers who came out to help and donated money to purchase the wreaths. 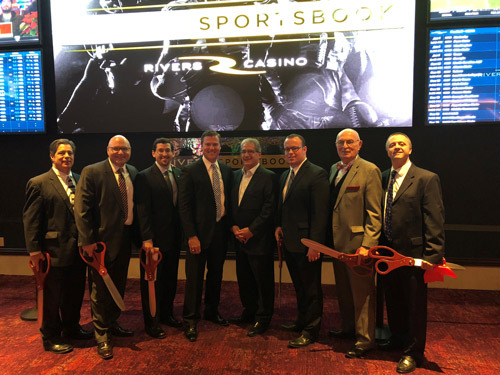 Last Friday, I attended a ribbon-cutting ceremony for the Rivers Casino’s sports betting operation. Visitors to Rivers Casino Sportsbook now can place wagers on football, baseball, hockey, basketball, boxing and other sports. Legislation I authored, Act 42 of 2017, paved the way to allow for betting on sports in Pennsylvania. This holiday season I would like to extend the warmest holiday wishes and happiest new year to you and your family. May you have a wonderful and safe season that is full of peace and cheer. My district office hours may be limited in light of the holidays. Please call ahead to be sure my offices are open. Also, PennDOT Driver License Centers will be closed on Tuesday, Dec. 25, for Christmas, and on Tuesday, Jan. 1, for New Year’s. Customers may still obtain a variety of driver and vehicle products and services online through PennDOT’s Driver and Vehicle Services website, dmv.pa.gov, or through my website at RepOrtitay.com. If you’re traveling, you can check conditions on more than 40,000 roadway miles by visiting 511PA.com. 511PA, which is free and available 24 hours a day, provides traffic delay warnings, weather forecasts, traffic speed information and access to more than 770 traffic cameras. 511PA is also available through a smartphone application for iPhone and Android devices, by calling 5-1-1, or by following regional Twitter alerts accessible on the 511PA website. For additional information, click here. For assistance in obtaining or submitting an application for a placard or registration plate, please feel free to contact my district office at 412-221-5110. There have been too many tragic stories in the news lately about children getting hit by vehicles when getting on or off a school bus. These crashes can be avoided if motorists obey the Pennsylvania School Bus Stopping Law which requires motorists to stop at least 10 feet away from school buses that have their red lights flashing and stop arm extended. Motorists must stop when they are behind the bus, meeting the bus or approaching an intersection where a bus is stopped. Motorists following or traveling alongside a school bus also must stop until the red lights have stopped flashing, the stop arm is withdrawn, and all children have reached safety. The Pennsylvania House of Representatives will begin the 2019-20 Legislative Session on Tuesday, Jan. 1, with members taking the oath of office. The oath will begin at noon and the ceremony will also include the adoption of House rules, election of the Speaker of the House and a joint session with the state Senate to certify election results. Live streaming of the entire ceremony will be available here. After swearing-in, stay up-to-date on the latest news out of Harrisburg by subscribing to my legislative updates here and by following me on Facebook. Celebrating one of Pennsylvania’s top industries, the Pennsylvania Farm Show near Harrisburg will kick off Saturday, Jan. 5. The show will run through Saturday, Jan. 12. For all the latest news about the Farm Show, follow it on Facebook or visit farmshow.pa.gov.